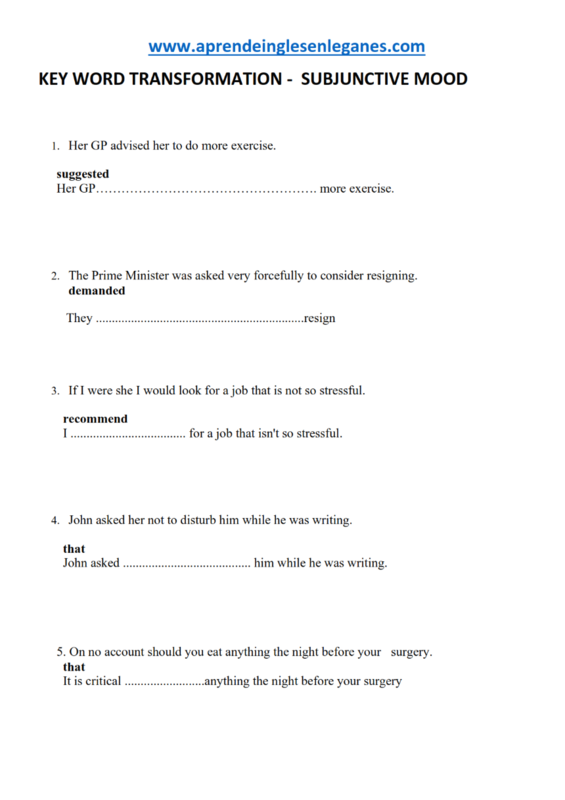 The English subjunctive mood is used to express situations that are hypothetical or unreal. In addition, it is used to express a proposal or intention about the future although it is only used when we want to sound very formal. 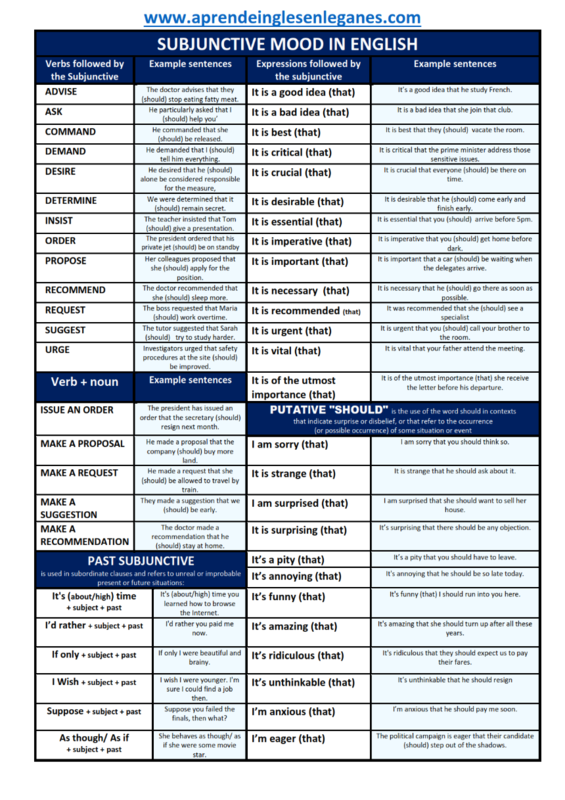 The table below contains the most common verbs, expressions and adjectives that can be followed by the subjunctive form. by clicking on the PDF icon across.